Last September Anno mentioned that he’s already working hard on the fourth and final movie of the new Evangelion theatrical release (Rebuild) since finishing up the work he was doing with Shin Godzilla, at the end of an interview with Takeshi Honda at the October 2016 MCM London Comic Con, he confirms that they are working on it. Finally, do you have a message for anime fans – and Evangelion fans – here in the UK? We’re actually working on the new Evangelion film right now. We’re working hard and it’ll come out eventually, so thanks for all of your patience – please continue to be patient, because it’s going to be the last episode. 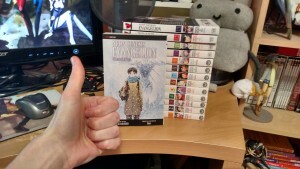 Also, for anime fans in the UK – please watch Evangelion! Nothing much, but at least it’s confirmation. We know Anno has been spending his time on the Shin Godzilla project with Toho and had apologized to Evangelion fans about the delay. Now that he’s finished with the project and seemingly not anticipating any involvement of future Godzilla projects with Toho in the near future, it seems his focus is back on the final movie. In an Eiga.com article, when asked about the fourth and final Evangelion movie, he replied: “I’ll work hard on it. I mean, I’m already working hard on it“. 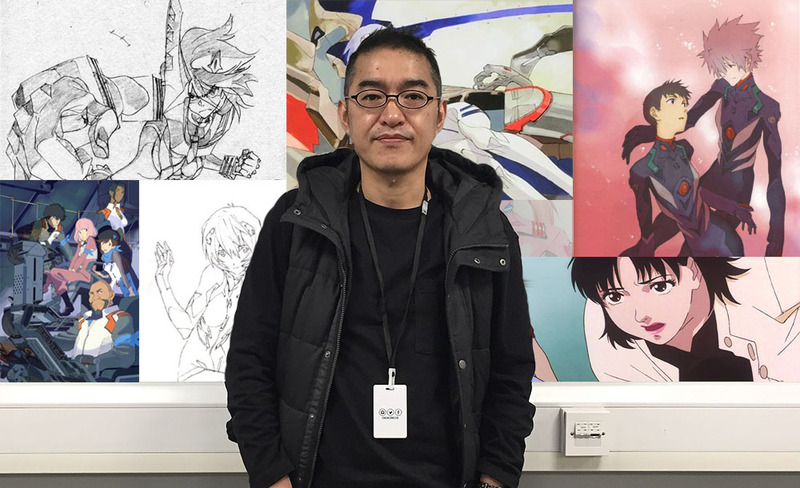 Though there’s still no official timeline on the development, or even what the current status of the Evangelion project is, at least it seems the captain is back at the helm. It’s no secret that Hideaki Anno has been on a hiatus from working on the fourth and final movie of the Evangelion theatrical series and has been working on a new Godzilla movie. Likewise, there’s been a ton of Evangelion/Godzilla cross merchandizing. During a press conference to commemorate the completion of the new Godzilla movie, Anno’s opening remarks was an apology to Evangelion fans for keeping them waiting for the final movie. Additionally, he reiterates how draining it is to be working on Evangelion and mentions that after the 3rd movie, Evangelion 3.0: You can (not) Redo, that he felt that he’d never create anything again. 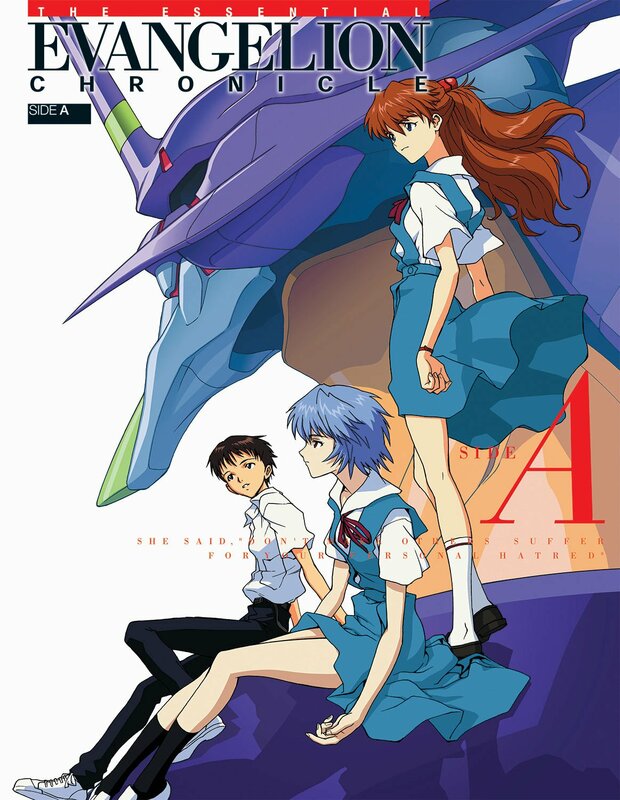 In the past we’ve seen mentions of how soul draining it was for him to work on the Neon Genesis Evangelion TV series, and more recently (especially while waiting for the 4th and final movie) how emotionally draining it was for Anno to work on the new movies, so it wasn’t necessarily much of a surprise to hear him mention at the press conference that Evangelion is his soul. Here’s to hoping that he’s recharged and ready to work on Evangelion again. 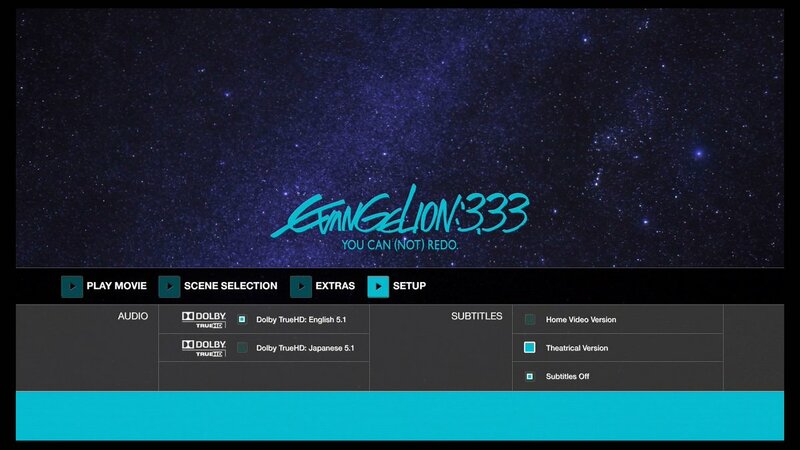 At Funimation’s New York Comic Con industry panel today, the company finally revealed the release date for Evangelion 3.33: You Can (Not) Redo as February 2nd, 2016. Curiously enough, a fan’s photo from the panel shows the release looks to be a Bluray and DVD combo pack. Definitely a difference from their separate DVD and Bluray releases of the previous 2 films. Whether this could be Funi’s way of “making up” for the super long delay, or their current standard of releasing anime, is so far unknown. Here’s hoping that Amazon, Rightstuf, and the like will soon update their websites with price estimates. Kick the tires and light the fires, folks; The Essential Evangelion Chronicle, the esteemed guide to the anime Neon Genesis Evangelion, is going to be released stateside– and better yet, it’s going to be released in English! The Essential Evangelion Chronicle (dang, that name is a mouthful) is a two-part work. There’s a Side A and a Side B, as they’re called (might be more accurate to call them book A and book B, but whatever.) Side A covers the first thirteen episodes, and Side B covers the last thirteen. Side B contains the Director’s Cut episodes instead of the episodes that aired on TV. It also includes information about the TV ending and End of Evangelion. I told you guys that we had a confirmed release date, and I wasn’t joshing you: Side A is set to be released June 2nd, and Side B is set to be released August 8th. That’s right, ladies and gents– we’re a mere month away from the first part of this collection being released, and just three more from then until we get Side B.
I don’t think I need to tell you, but just in case: GET EXCITE. Editor’s note: The original version of this post stated that Side B contains the OA and not the DC episodes, due to a misinterpretation of Amazon’s description of the books. As pointed out by forum user Literary Eagle, this is incorrect; the book actually includes the DC episodes instead of the OA episodes. This post has been updated to reflect the correct information. If you’d like to see LE’s thoughts on the books, you can read her blog post about them here. This is Episode 26 from Season 6, titled “Brilliant Century Duck Crisis Special”. It’s pretty fun to see what crazy and creative ideas our generation is coming with up for TV shows, now that they’re behind the reins. Final volume of Neon Genesis Evangelion manga released. While some fans managed to get their hands on it a little bit early, the fourteenth and final volume of Yoshiyuki Sadamoto’s Neon Genesis Evangelion manga had its official release today. It’s been a long-awaited conclusion for some, having begun in December of 1994, and concluding in June of 2013. I for one have been looking forward to seeing Sadamoto’s take on the conclusion since I started reading the manga sometime around 2001. The release of this last volume feels very timely, 2015 is not only the year that Evangelion is set in, but also the 20th anniversary of Neon Genesis Evangelion. 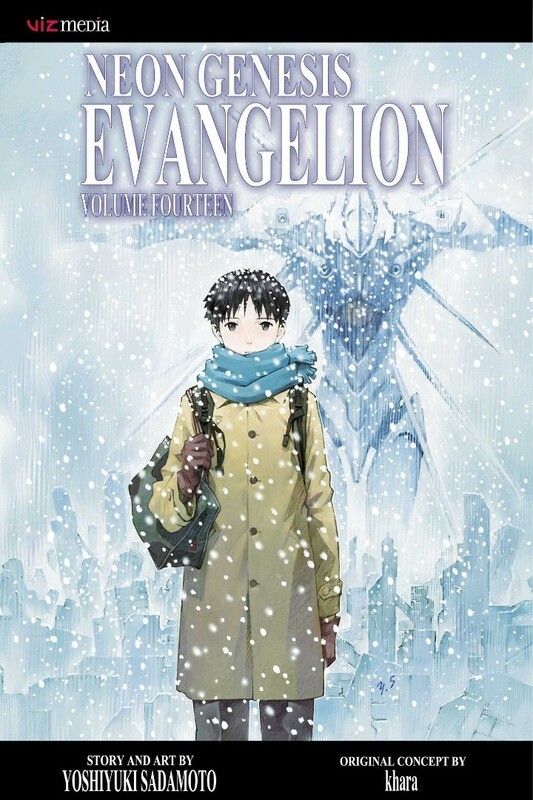 This year we also look forward to the English release of Evangelion 3.33, the possible Japanese theatrical release of Evangelion: Final (fingers crossed), a Japanese blu-ray release of the series (which many are hoping for a western release), as well as other anniversary events that have yet to be revealed in detail. It looks like a great year for Eva fans. And now, I have some manga to binge on, it’s been years since I’ve read many of these volumes. Today, the official Evangelion website, Twitter, and Facebook announced the release date for the 2 Evangelion boxsets. Both sets will be released on Friday August 26th with the Bluray boxset for 38,000 Yen while the DVD boxset is for 18,000 Yen. The Bluray boxset looks to be 900 minutes with extras (at 9 volumes) while the DVD boxset will be 850 minutes with extras (at 8 volumes). Hopefully this release will see its way internationally within the next few years, but in the meantime, pre-ordering imports from the usual places (Amazon JP, CDJapan, etc) is an option.